Anyone been to this event before? I am seriously considering doing this next year. I would love to hear people's stories about it. wow..........this thread is on fire! I go to Burning Man every year. I live 2 hours away, so it is right in my backyard! It is the coolest, most fun time you'll ever have! I haven't found anything that has come close to topping it yet.....not even the beautiful island of Ibiza!! There were close to 40,000 in attendance this year. There is always plenty of room at our camp, and you are more than welcome to camp with us. We are a group of 40-60 like-minded, fun people, average age of 27. Hope you make it out....you won't regret it! My email addy is iamcrazyi@yahoo.com if you ever want to learn more or ask questions! Take care! Thank you Mike, I knew there had to be at least one person on this board that has experienced Burning Man! Loving the photos, they look amazing! 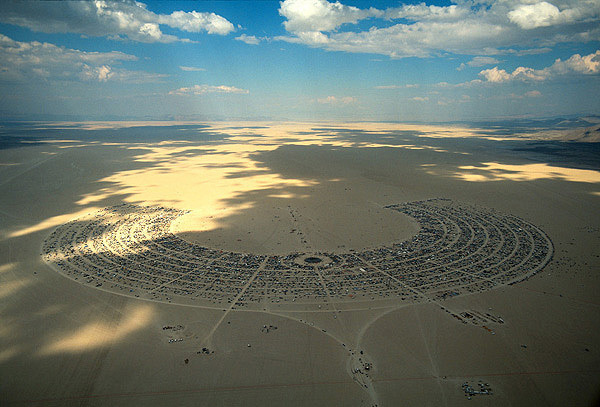 I've been to burning man 3 times and its the most amazing place in the world, nothing comes close. If it was a chocie between going to Ibiza and Burning man , then the Man would win hands down every time. Is it just a dance event? I'm thinking about going in september - got sent a load of pictures by a friend and it looked amaaazing. Quite keen to do something different. Sirens, have a look through flickr.com - loads of amazing pictures that'll whet your appetite. Really! I was trying to work out how much it would cost! Excellent!!! 8) I am sure there will be a load of questions I will have to ask you! They look out of this world! I am so excited about it! Stephen C- That is Awesome that you have traveled (on more than one occasion) overseas to come to Burning Man. I too would travel the world for it.....worth all the effort. I am lucky to live so close. Anyhow, props to you! 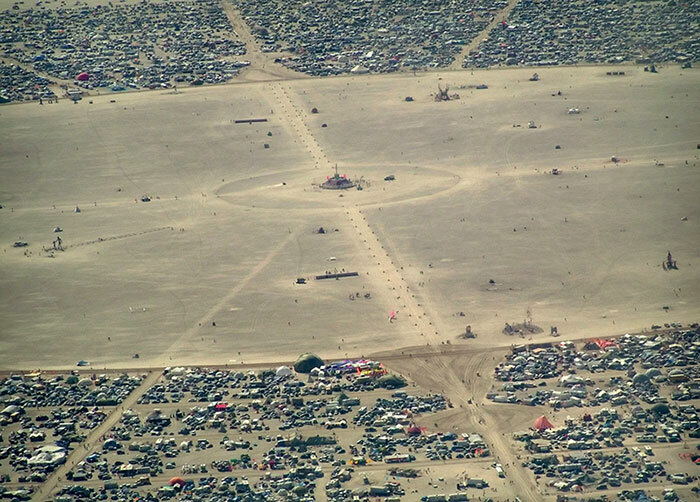 That is awesome that you are one of the 80,000 or so people who has gotten to experience Burning Man in their lifetimes! CONGRATS! Sirens- That is AWESOME that you are so eager to find out more about Burning Man. There is no doubt that you will have the most mind-altering, life-changing journey....just like everyone else who attends! I am always here to answer any questions that you have, or to help however I can! I LOVE talking Burning Man, and having attended the event 6 years now, I offer some good advice and tips. My biggest and best advice to you is start planning now. Read up the event as much as possible and start looking at what it will take to get here. You are coming a long ways. The more time you allow yourself the easier it will be. Again I am here to help with anything. One more thing. BUY YOUR TICKET EARLY. This will not only land you the cheapest price into the event, but it will encourage you to make the trip. It is a lot more difficult to say "maybe i'll go next year" if you actually have your Burning Man ticket when they go on sale! Keep me posted and I'll keep you in the loop on announcements. The website is a great resource (www.burningman.com) so don't be afraid to use it. Sorry for the long post everyone Hope you guys are having a great week! Oh and if you have MySpace...here is a direct and easy way to get ahold of me for further questions or help! what type of music is it?? Yeah, It's definitely progressed a lot over the years.....The first picture is probably late 80's or early 90's. Today, the man towers 90 feet above the city. Really Incredible. The bottom picture is from 2003 where the theme was "Beyond Belief". Each year, the festival has a different theme to it. The Sunset that you see in that picture is pretty typical for the desert....there are no words for the beauty of such a barren place. Hope you like what you read about the festival. Just remember.....you will never be prepared for the experience if you choose to go. It's one of those things that after you go for the first time...all you can think is "HOLY ****! I CAN'T BELIEVE THAT THIS PLACE EXISTS!!!!" There is nothing like it happening anywhere else on Planet Earth in this lifetime! Good Luck, and see you in the desert! P.S. Here are some small, but awesome photo galleries of the last three year's burns! Hope you enjoy! Click on any picture to get started! Okay....last post! This is another preview by the ibiza-voice author who posted the first article that Sirens posted! It is pretty cool! Wow....Uchronia was one of the most amazing things I have seen in the 6 years I have attended Burning Man......The project cost them more than 300,000 US Dollars, and they burned it after they built it. All that time energy and creativity just to be enjoyed for a week! I actually got to talk to one of the Belgians working on the project, and he just couldn't get enough of the experience of creating the community in Black Rock City! How awesome! I hope you make it out next year Wimpers! These are pictures of the event if you were to fly over it. Look at all the tents and motorhomes. There are crazy parties and fire all over the place. At night is really when the desert comes to life!! Hey Helen! If you are looking for good advice and lists of things you'll need to survive your first time at Burning Man, this site is a great help! Feel free to scroll down and look at all the resources and if you have questions about any other preparation, please let me know!